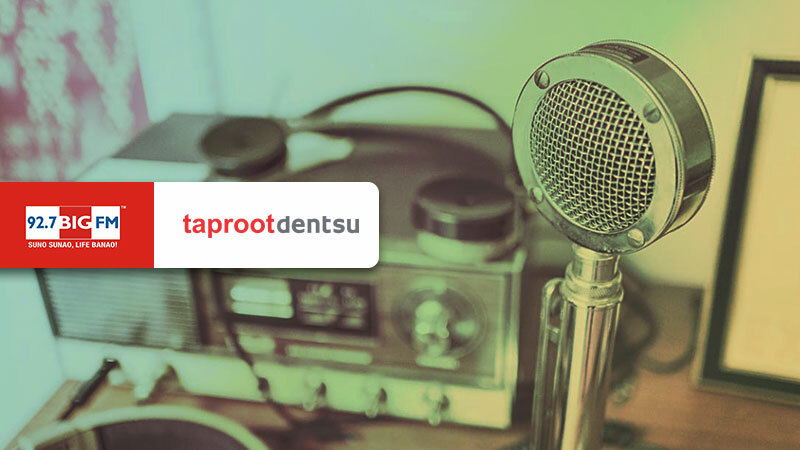 Taproot Dentsu acquired advertising duties for 92.7 Big FM India following a multi-agency evaluation. The agency will service the account from its Mumbai office. The mandate entails strategic positioning, product reach and frequency and re-packaging the channel as a whole. Taproot Dentsu will be involved in the strategy, brand building, advertising campaign and some show concepts across some outdoor and radio campaigns.